The Wishing Well Inc. Foundation donated an undisclosed sum to patients whom are no longer physically in medical or care institutions, but are still very much in need of support. They are “out of sight” and therefore often overlooked for assistance, as they no longer visit the institutions on a daily basis. The recipients were carefully selected based on their situation and most of them have been sick for a very long time or living in impoverished circumstances with the (occasional) support from family members or well-wishers who oftentimes are struggling themselves to make ends meet. 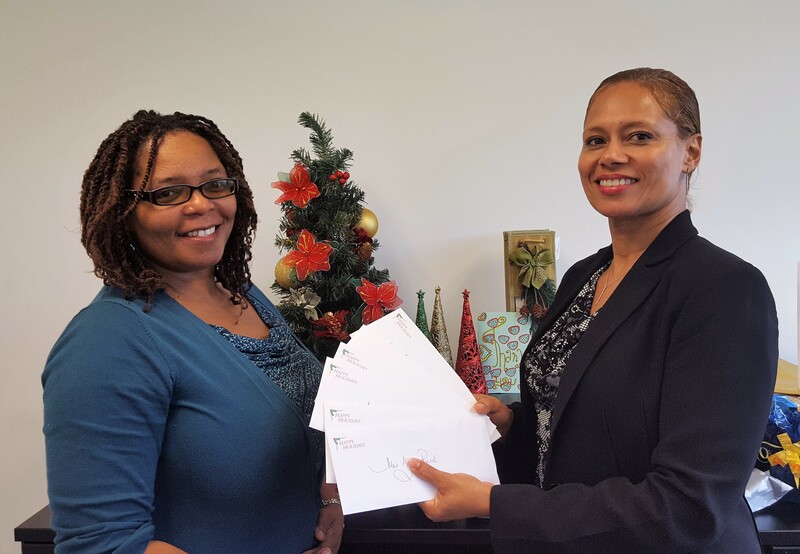 In collaboration with Miss Koren Norton, Social Worker at MSJMC, 6 of the most deserving persons were chosen for donations that would meet their needs. “It was important for us to reach those who are most in need of assistance to let them know that they are not forgotten especially at Christmas time. A few who were selected are a visually impaired widow who cannot work due to her diabetes induced amputation, an unemployed grandmother who is taking care of 8 grandchildren and a young women who is making the best of her life even though she was impregnated by her abuser. Miss Norton is a pivotal partner in our drive to assist as she takes a holistic look at the circumstances the persons are in. It was therefore only logical that she would be the person to be presented with the envelopes, while also protecting the privacy of the various recipients. We are humbled that our donations will make a difference at a time where there should be cheer and abundance at home.” Sascha Mercer, Vice President of Corporate Affairs for Wishing Well Inc.